Iceland is a country of northern lights and geothermal pools. The country was built by volcanic eruptions and earthquakes for more than 20 million years ago because of the Eurasian and American plates that were drifting apart. Iceland is composed of volcanoes and glaciers and is a very prosperous nation with breathtaking islands and fascinating landscape and nature. It is a country that you should visit with your whole family; a country perfect for geologists, and for each and every person who would like to see the power and beauty of the earth. Before visiting Iceland, it is important for you to know about its history, culture, geology, and people. Your curiosity, creativity, and imagination will certainly unleash in this country because there are a lot of things to admire and enjoy. Despite its name, the surface of Iceland is only made up of ten percent ice. The are many interesting historical and geological facts about Iceland. Iceland is the 18th biggest island all over the globe and the second biggest island after Great Britain in Europe. The capital of Iceland, Reykjavik, is declared as the northernmost national capital across the globe and most of the country’s population live in it. The eastern part of Iceland is made up of the largest forest, quality farmlands, and a lot of natural resources. The south of Iceland is where the most visited tourist attractions and the most powerful waterfall in Europe. The west of Iceland consists of the geologically diverse regions of the country and the greatest and most famous concentration of geysers in the whole world. Last but not least, north Iceland is preserved with unspoiled wilderness with immense lava fields, turbulent waterfalls, rivers, and different geological features, such as the small fishing town or the whale watching capital of Europe. 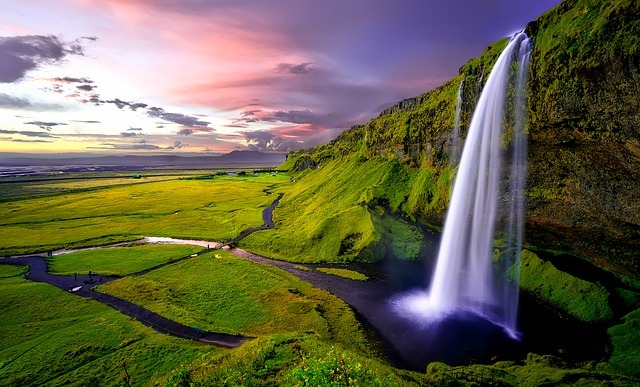 Iceland is composed of geothermal beauty where almost 30 percent of the country is made out of lava fields, most active volcanic areas of the world, and the largest glaciers and geysers in Europe. The location of Iceland makes it very geologically active and the country is accountable for more than a third of all fresh lava that can be found on earth in the last five to six hundred years. Get closer to the raw and natural landscapes of the country by hiking across it and following the trails that will lead you to its geological wonders. Ensure that you have the proper equipment and safety gear as well as a prepared body and mind for all the adventures that you are planning to do outdoors. Hiking ranges from easy to extreme, and if ever you need to drive across the country to maximize your day, or if you simply want to hike to other mountains, car rentals are available at Lotus Car Rental in Iceland to assist you with your needs. Furthermore, take a break by experiencing the hot springs in Iceland in the middle of your hiking adventure. The country is excellent for snowboarding, mountain climbing, ice climbing, fishing, skiing, hiking, ski touring, cycling and a lot more fun adventures to choose from. The country offers some of the best tourist attractions and geological spots in all of the world, such as its therapeutic and geothermal Blue Lagoon Spa that will make you feel relaxed. Explore the wilderness area at Hornstrandir where you will be able to see arctic foxes, whales, seals, and various bird life. Take a walk at the pink and red sands of the beach at Westfjords known as Rauðasandur beach. Natural beauty abounds in Iceland. Take a cruise or a boat trip through its glacier lagoons, see huge icebergs and ice sculptures with few layers of volcanic ash, see the wilderness with its collection of peaks, waterfalls, bird cliffs, lava tubes and more. There are many possibilities for adventures from snorkeling to whale watching, to glacier hiking to getting a glimpse of the northern lights. Iceland is a top travel destination and often difficult to visit for some people. You are lucky if you experience the powerful and outstanding landscapes and geological features of Iceland and everything that it has to offer. Expect extraordinary scenery at every turn and the best exploration of the outdoors that you will never forget.